A Ferrari 458 Italia should not have problems turning heads on the road. But what if the owner craves for even more attention? Misha Design can help. 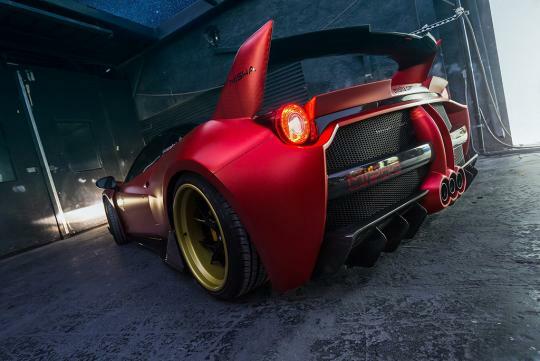 From what we can see, what Misha Design did to the 458 made even the Laferrari look tame in comparison. 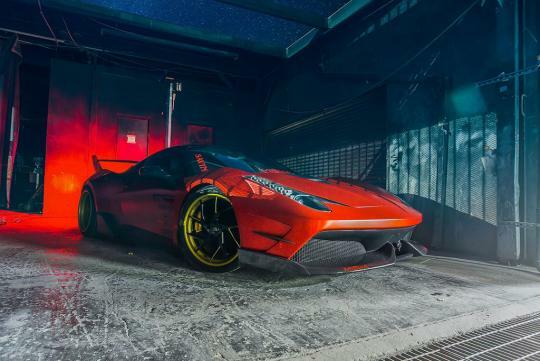 Likely to have used some of Ferrari's more extreme models like the FXX K as an inspiration for the kit, the Misha Design 458 Italia features an 3-inch wide fender, a new hood, a new pair of aggressive front and rear bumper and a large wing at the back. No word on any performance increase were given but even if the car remained stock, it would still be more fast enough for most roads.